Physical therapy is a powerful tool in the chiropractor's arsenal and can help you recover from injury and even improve your sports performance. Dr. Darin Stokke of Lifestyles Healthcare Group in Fort Myers, Florida specializes in rehabilitation using physical therapy for patients who suffer from pain or want to enhance their performance on the field. He’s a leader in the field, counting professional athletes like Minnesota Twins pitchers Trevor May and Kyle Gibson among his patients. To learn more, call or schedule an appointment online today. Physical therapy helps you restore function and flexibility. It also helps both men and women develop and maintain muscle flexion and function. Dr. Stokke uses it after you suffer from an injury, but it’s also beneficial if you have certain diseases, including ones caused by age. He uses physical therapy to condition your body for sports to prevent injuries and enhance your performance, as well. During physical therapy, Dr. Stokke guides you through exercises that work the soft tissue slowly to increase strength and endurance to promote healing. Physical therapy works in the same manner to enhance your sports performance. What conditions does physical therapy help treat? Physical therapy treats various injuries, including sprains, strains, and other issues related to the soft tissue. It also helps with inflammatory issues like bursitis and tendinitis. Physical therapy eases pain and discomfort from overuse injuries, too. It’s even possible for people with chronic conditions such as osteoarthritis to benefit from physical therapy. If you have whiplash, a concussion, temporomandibular joint dysfunction, or vertigo, physical therapy can help. What are the advantages of physical therapy vs. other treatments? Besides the fact that physical therapy works, it helps men and women by using a natural approach rather than resorting to invasive and potentially dangerous treatments and performance enhancers. Physical therapy is completely tailored to your needs, so it works with your body at a pace that’s right for you. Dr. Stokke can slow down the physical therapy if you’re experiencing pain or discomfort. 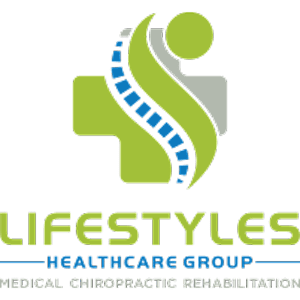 What makes Lifestyles Healthcare Group different? Dr. Stokke offers various levels of physical therapy in his expansive 6,000-square-foot rehabilitation facility. Once you no longer need rehab for an acute condition, he uses “progressive functional rehabilitation,” which helps you get back to your original state or optimizes function and performance. Dr. Stokke’s staff consists of certified personal trainers who use equipment like balls, cables, and bands. They are specifically trained in movement patterns and rehab protocols. Discover the power physical therapy has to help you recover from injury or enhance your overall well-being by calling Lifestyles Healthcare Group or scheduling an appointment with Dr. Stokke online.